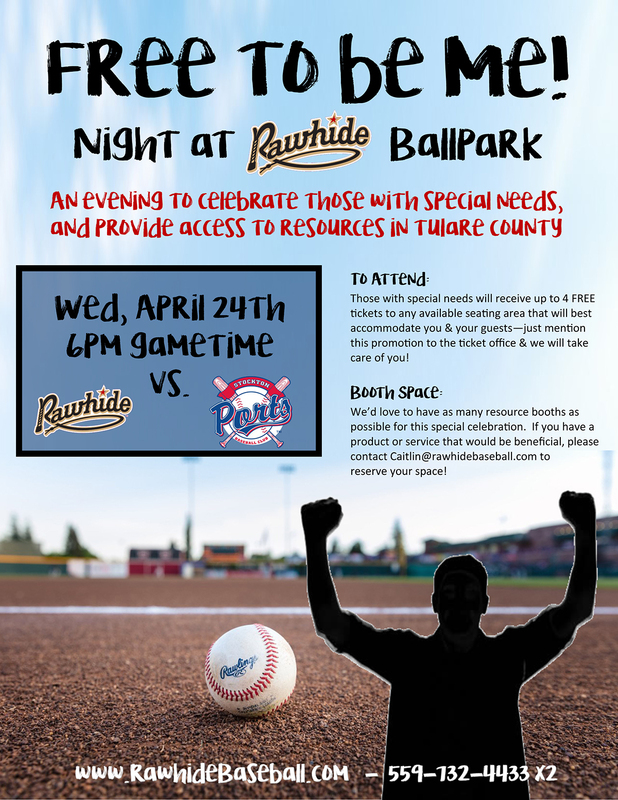 Find us out at Rawhide Ballpark on Wednesday, April 10th for a game at 11 a.m. and again on Wednesday, April 24th at 6 p.m. for Free to Be Me Night! We will have some informational flyers about Arts Visalia and a small art project for families. Don’t miss out.